You can DIY a Halloween costume for your child, and it won’t cost much at all! 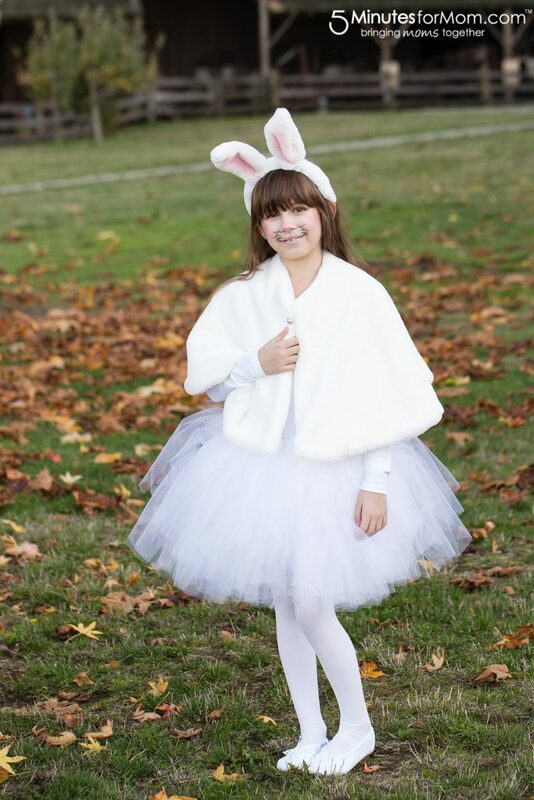 Take a look at these No-Sew Tutu Halloween costumes. 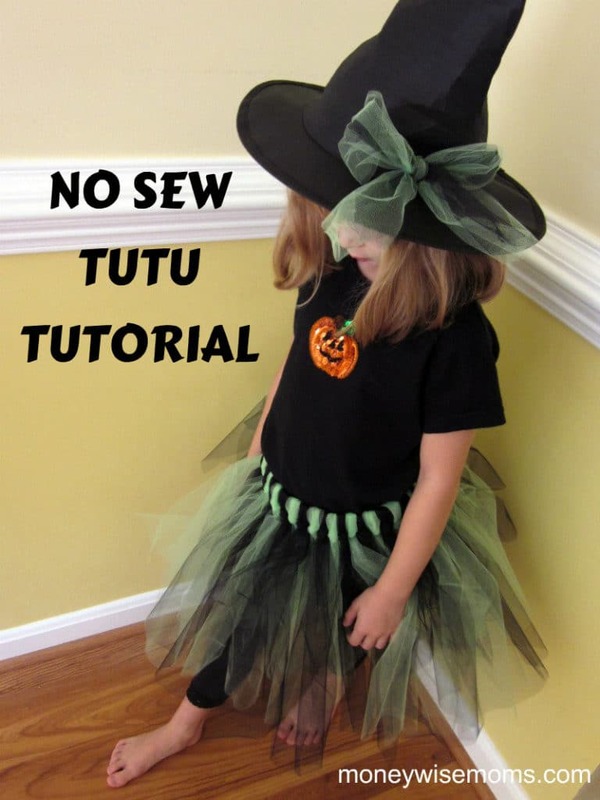 For step-by-step instructions, see my No-Sew Tutu Tutorial. Once you know the technique, you can combine a tutu with your own leotard or tee for an adorable costume. We used a Halloween tee that she already had, black leggings, and embellished a witch’s hat with leftover tulle. Since we already had the hat, this costume cost less than $7.00! 5 Minutes for Mom shares this DIY Bunny Costume along with a unicorn, fox and these DIY Fawn Costumes. They’re just beautiful, and all based around a No Sew Tutu. 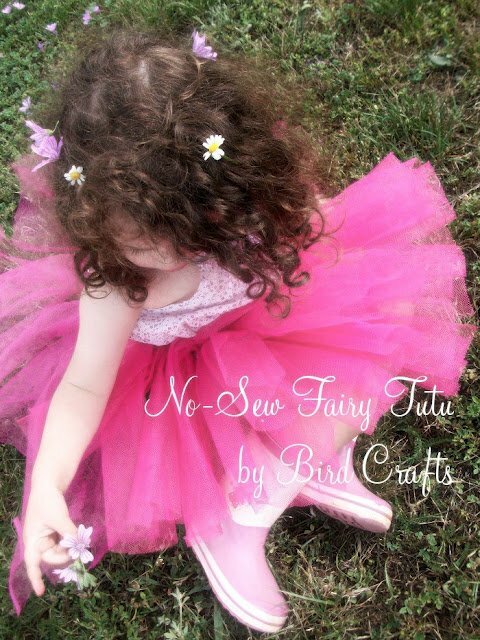 Bird’s Crafts used her tutu to make a Pink Fairy Tutu. 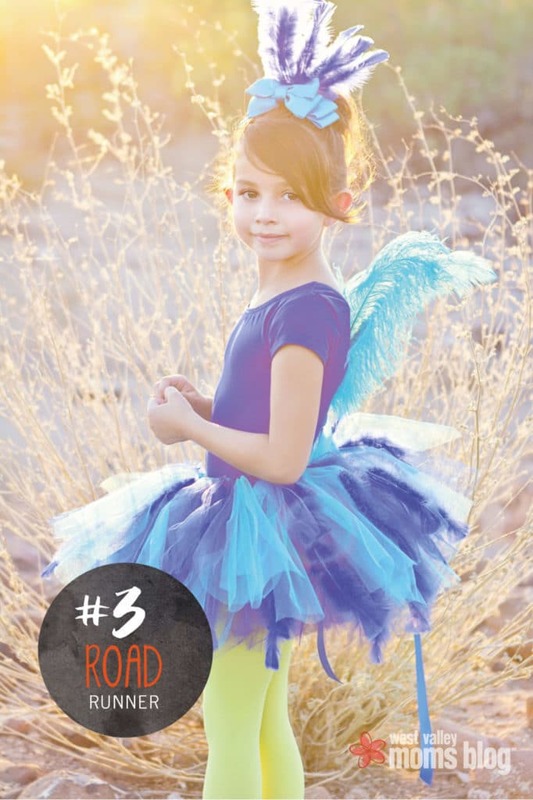 With a leotard, onesie or any cute top, you just need a fairy wand to complete this costume. Any color will work, so let your daughter decide! 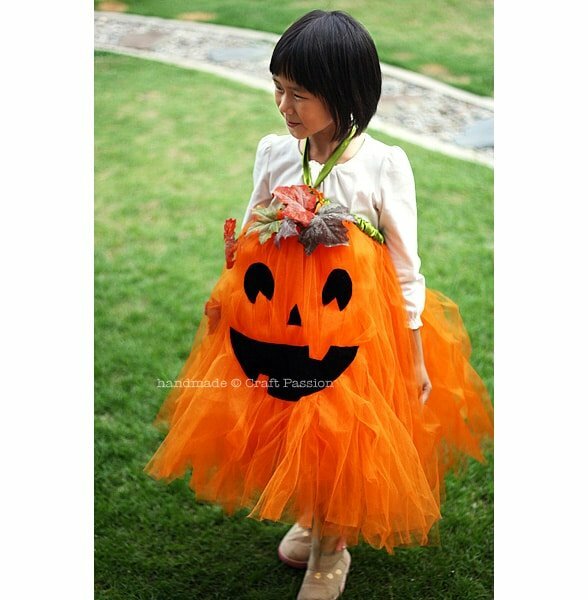 Craft Passion used orange tulle for this great No Sew Pumpkin Tutu Costume. By adding green ribbon around the waistband and black felt accents for the face, it’s a very cute interpretation of a Jack o’ Lantern. This Mischievous Mouse from Meet Penny is just adorable! Let your child help pick the colors for the other parts of the costume. 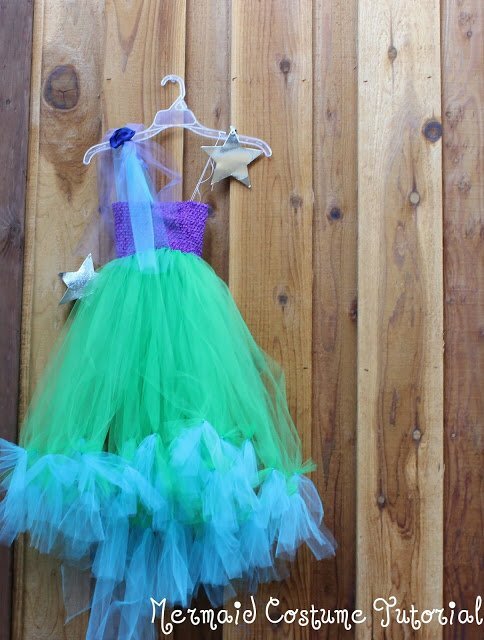 Tatertots and Jello shares three ways to use a DIY Tutu, including this Mermaid Costume. She did use a little bit of sewing to attach the tank top, but you can always keep the pieces separate if you truly want No-Sew. So clever! This Roadrunner costume is from West Valley Moms Blog. I love that she went with the colorful Looney Tunes version. 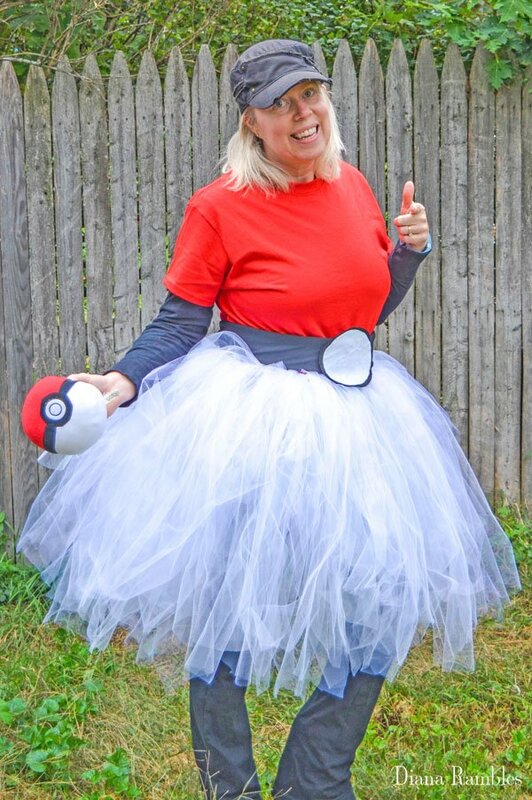 Diana Rambles made this amazing Pokemon Ball Tutu Costume. 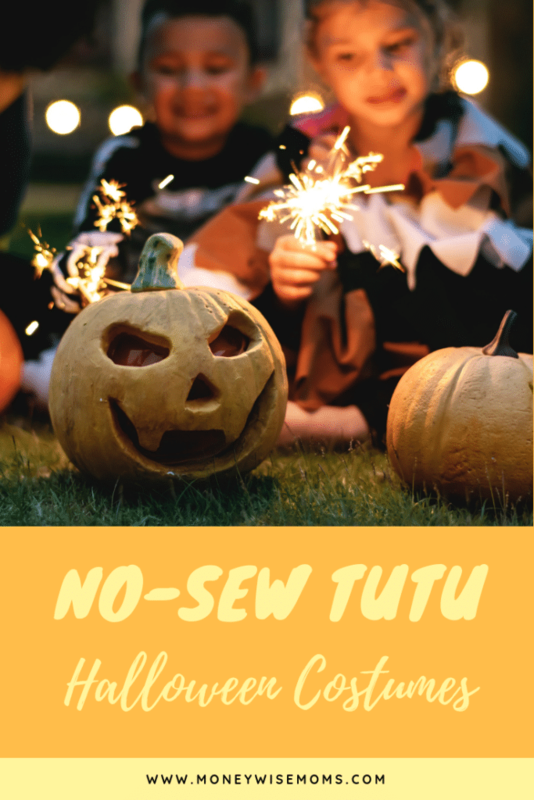 Yes, even adults can enjoy a no sew tutu Halloween costume!